After breaking into the music scene after a mesmerising performance on Britain’s Got Talent, Myers secured a deal with Syco Music! The multi-instrumentalist plays a sold out show! One of the best live bands around at the moment, Metz will play a headline show at Whelan’s on Tuesday evening! Special guest on the night Oh Boland! Madrid-born, Chicago-raised, Cornwall-based singer-songwriter Sarah McQuaid is bringing her unique style of guitar playing to Dublin once again on Tuesday night! Tears for Fears need no introduction, with more than 30 million albums sold worldwide and after a successful string of gigs across the pond, they have Alison Moyet providing the support for what is going to be a cracking evening! Singer-songwriter Justin Nozuka had a hit album at 17; by the time he’d turned 21, opened shows for Stevie Wonder, Mary J. Blige, John Mayer and Jason Mraz and now he plays at The Sugar Club in Dublin! Indie/garage rock band The Go! Team will play a sold out show at the Button Factory! They tour in promotion of their most recent album “Semicircle” which was released in January 2018. Otherkin had an amazing year in 2017 and this year is expected to be even bigger for them! They headline The Bowery in Rathmines on Friday night from 8pm! 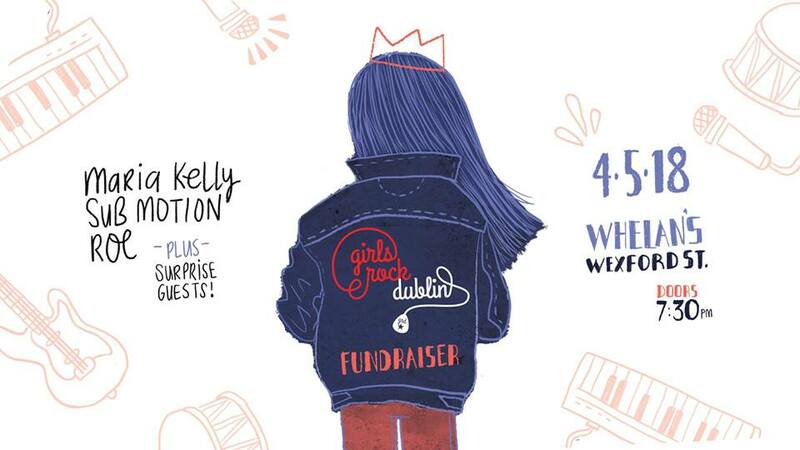 Maria Kelly, Sub-Motion, Pillow Queens & ROE will be performing at this fundraiser gig for GRD! Get down for a fantastic night of music in-store! Mark Kinchin otherwise known as MK will be bringing his familiar style of deep house to the 3 Arena. Probably not the greatest venue for it, but it’s going to be a great night either way! Techno is the only order of the day on Bank holiday Sunday! With Slam & Rebekah performing together from 11PM!